What: Rubber figures of half insect, half human creatures. 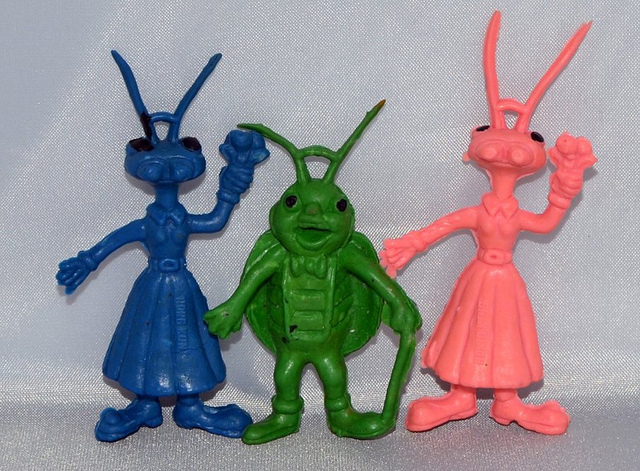 Pictured are pink and blue versions of an ant woman as well as a beetle man (who is quite the dapper gentleman sporting a cane and bowtie), as well as a softer rubber, suction figure with a sculpt that looks to be based on the beetle man. I'm assuming there were additional sculpts, but not sure. These are charming in a very bizarre, cheap toy sort of way. 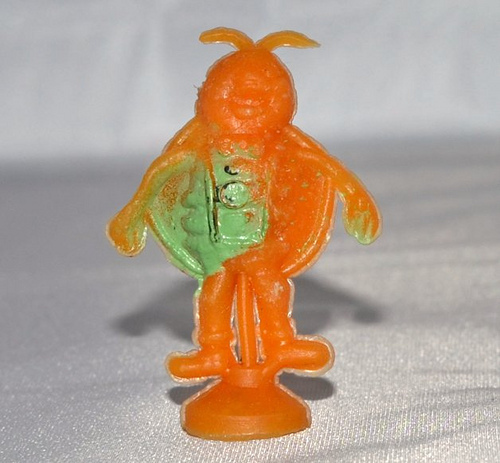 I remember picking these up in the Staten Island mall (same one as the Diener Myth Monsters) for a quarter a piece.